Dr. Charles Price, a pediatric orthopedist at the Arnold Palmer Hospital for Children, as well as the director of the International Hip Dysplasia Institute joins eHealth Radio and the Pediatric Channel. He is here to help parents understand more about hip dysplasia and to share some simple steps to promote healthy hip development in your baby. Can Hip Dysplasia be prevented? What can be done? How does undetected hip dysplasia manifest itself later in life? 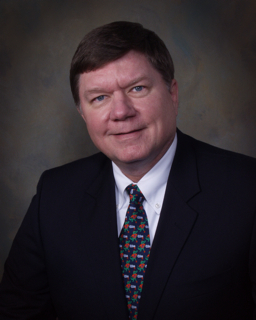 Charles T. Price, MD, FAAP is a busy pediatric orthopaedic surgeon with primary interests in hip dysplasia and the non-operative treatment of scoliosis. He maintains a busy national and international lecture schedule including numerous Visiting Professorships at major institutions. Dr. Price is a past president of the Pediatric Orthopaedic Society of North American (POSNA), a member of the American Academy of Orthopaedic Surgeon’s Council on Education, was appointed by the AAOS to be the Program Chair for the Annual Meeting Committee, and he was Chairman for the International Pediatric Orthopaedic Symposium for 10 years. As professor of orthopaedic surgery at the University of Central Florida College of Medicine, he enjoys mentoring young surgeons in their education and in their research. Currently, Dr. Charles Price is a pediatric orthopedist at the Arnold Palmer Hospital for Children and the director of the International Hip Dysplasia Institute. For additional information, visit www.hipdysplasia.org. CONTACT: Alise Kreditor afkkmc@aol.com or 516-482-4866.